In the Calendar Header you will find the calendar month by month. Underneath it on the right is a printer button. It can be printed! All whites or cream or white-on-white//cream-on-cream are 20% off January 24 - 27! WHAT'S NEW IN THE STORE!!! New Backing!!! I received two 108 bolts from the Stonehenge Collection. They are gorgeous enough to use as boarders (no piecing!). I think you are going to like them!! I also have one 108" grunge bolt - white with silver and gold. My grunge fans seem to love it! Hoffman Celebrate Good Times is here! It is a lovely 10-bolt collection for parties, two balloons, 3 confetti bolts (one red, white & blue! ), 3 streamers, 2 ribbons. If you are planning a celebration - these will be a hit! Wilmington's Garden Gathering is in transit! I'm really excited about this one for the spring / Easter projects! Will keep you posted. I just added a B 750 Quilter's Edition with a BSR to my used collection! QUILT EMBELLISHMENT WITH EMBROIDERY AND MACHINE APPLIQUE PROJECT STARTING! We kicked this quilt off with 5 attending! If you are interested in participating, please call us and we will get you in touch with our instructor to get you started. OESD SCHOOL OF EMBROIDERY CLASSES: We have decided on the project for February! 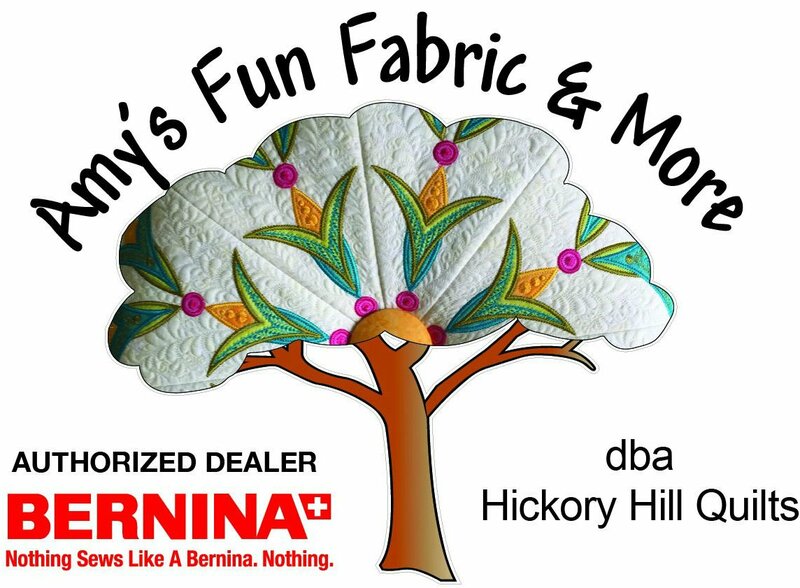 We will be embroidering on towels! The project is making a monogrammed beach towel tote. This time we have cleared with OESD that the attendees get the whole alphabet to personalize these items along with a few goodies (pansies, acorns, leaves, grapes, etc.) February 20! Sign up now! If we need to add another class, we will just like we did in January! What fun we had with the trapunto! 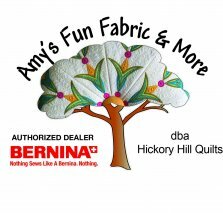 Michelle Jones is teaching free motion quilting WITH rulers and WITHOUT rulers this year! Along with a BOM with rulers from the Westalee & Me training we purchased for the shop! 2/3 - Mastery Class - Starting from the Beginning - You must sign up so we know how many kits and machine types we will have.